We had a surprise party for my Pa over the weekend. He wasn't even close to being surprised, but seemed to enjoy his day nonetheless. It's his real deal birthday today, the big 70. 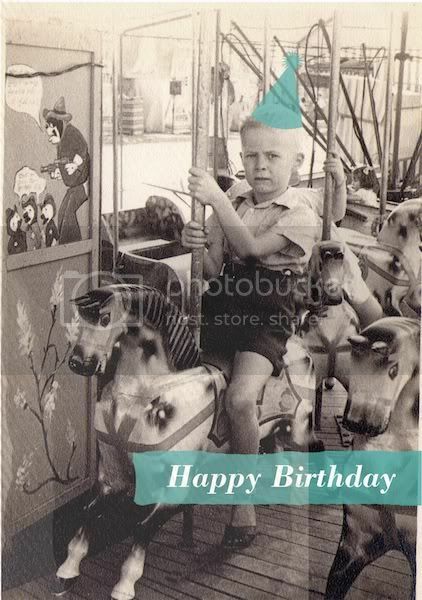 This is him, around 63 years ago, probably the saddest looking kid I've ever seen on a carousel. He's a little cheerier these days. Happy birthday, Pa.